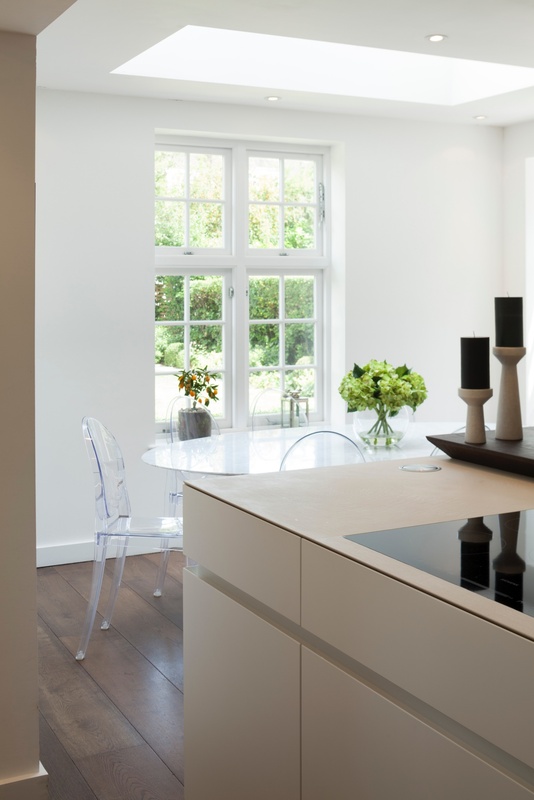 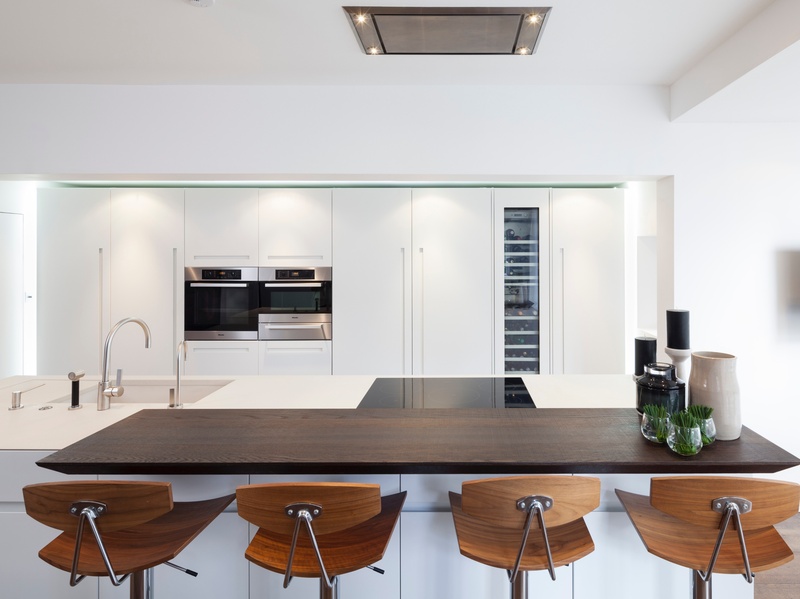 With natural timber floors to create warmth throughout the area, a neutral colour palette was chosen for the kitchen. 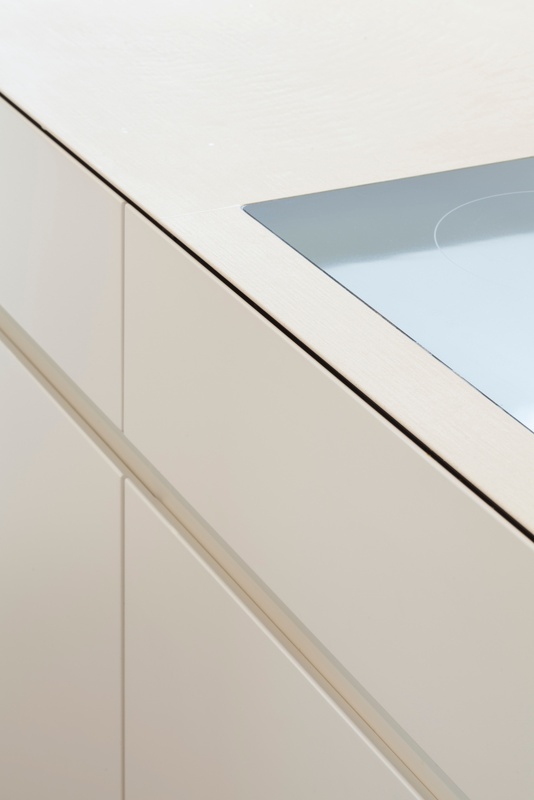 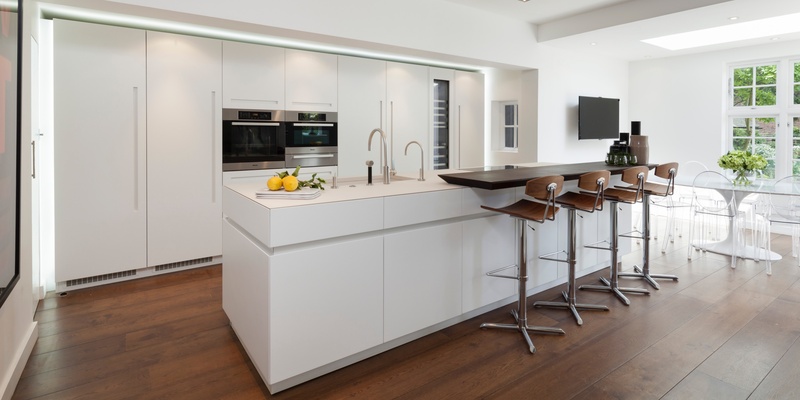 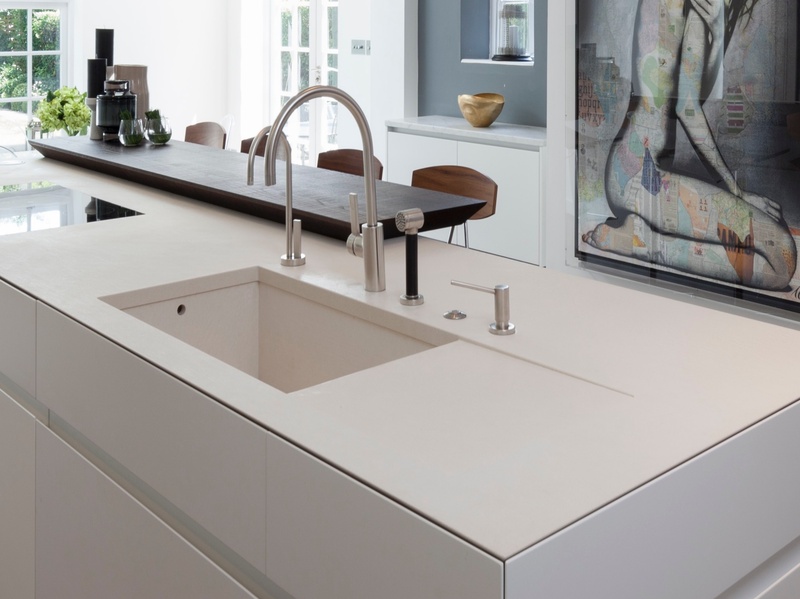 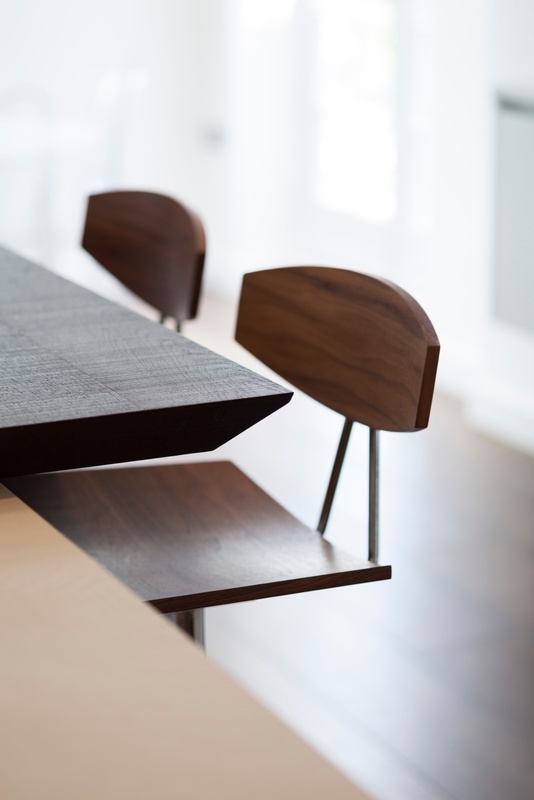 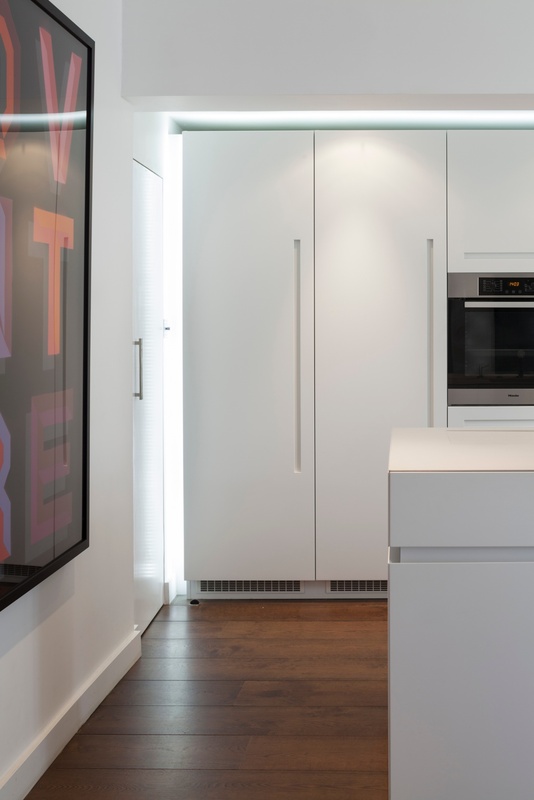 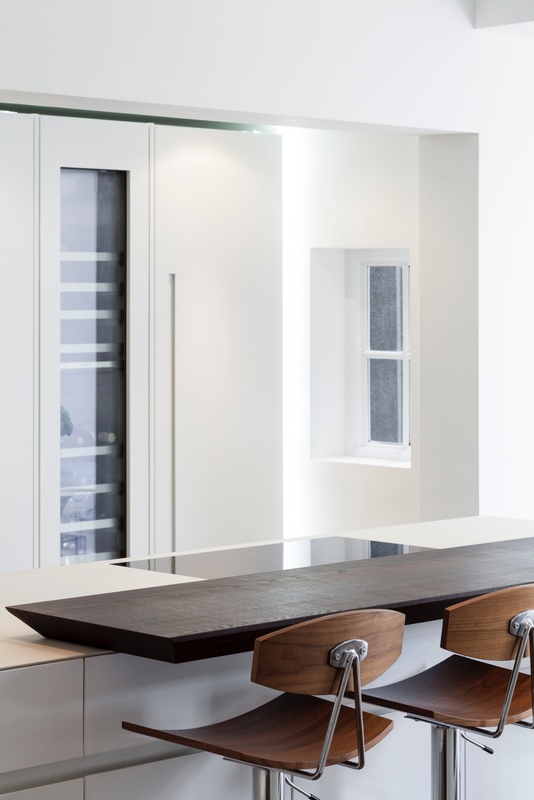 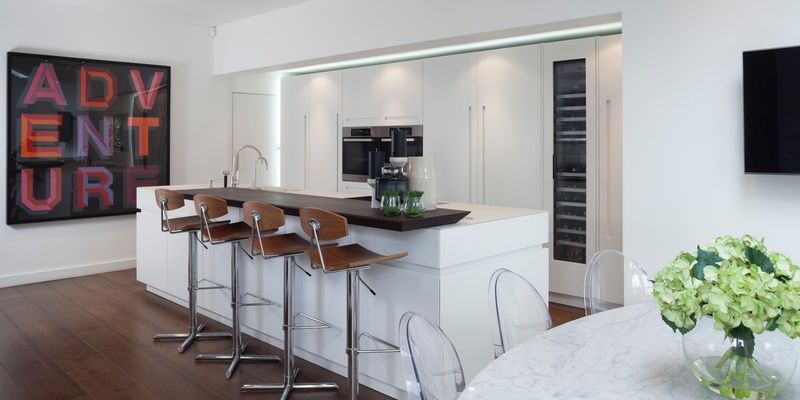 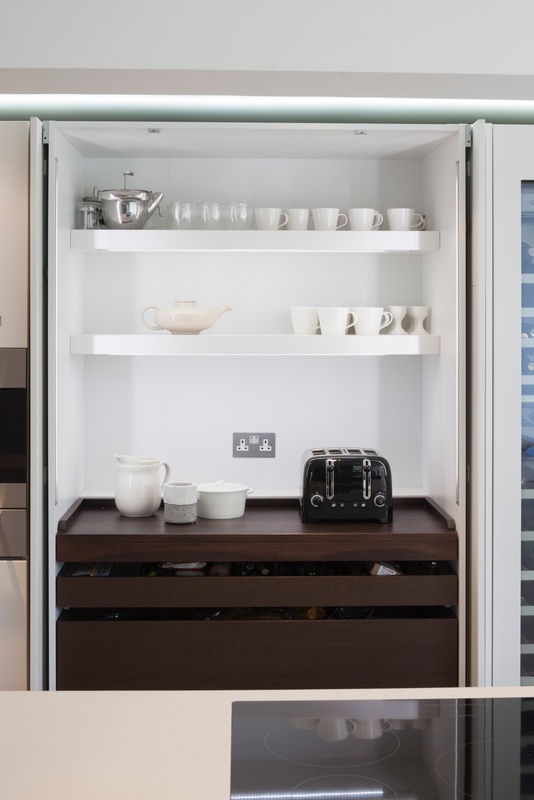 This effect maximised the sleek furniture design; both the fascias and worksurface are mitred at 45 degrees to create an invisible worksurface. 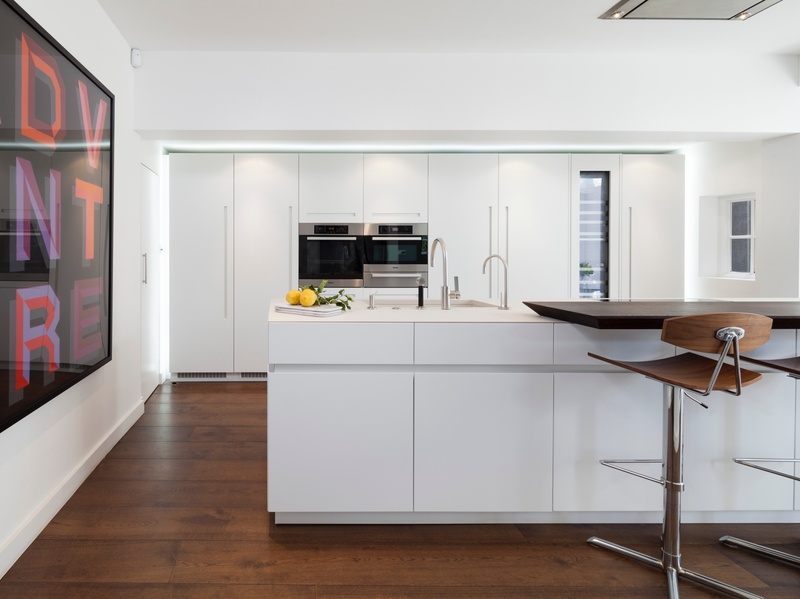 An island sink fabricated from the same material continued this paired back theme and leaves the focus of the island to the contrasting heat treated Oak breakfast bar.